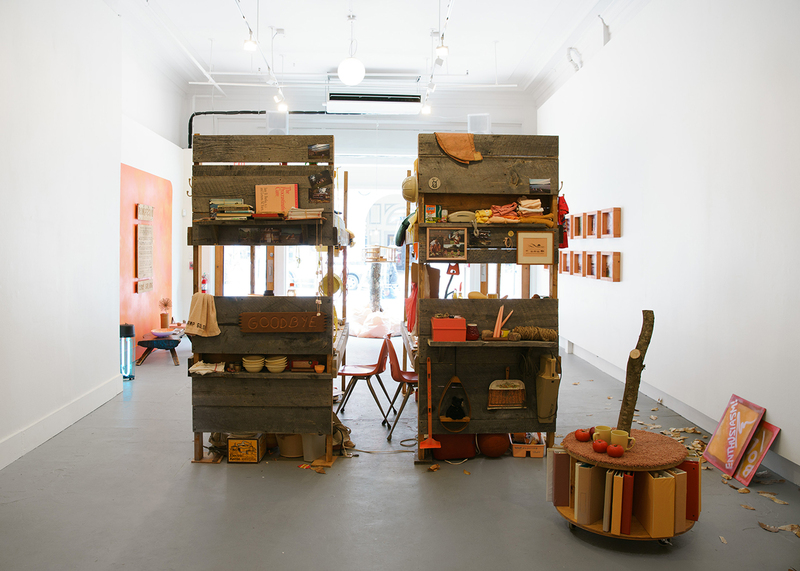 The exhibition Camp Solong: Almost Season, at SPACE Gallery in Portland, Maine, showcased, and functioned as the office of the two camp counselors (which they inhabited frequently) while preparing for the upcoming camp session, recalling to mind a chaotic and wildly creative kids’ room. 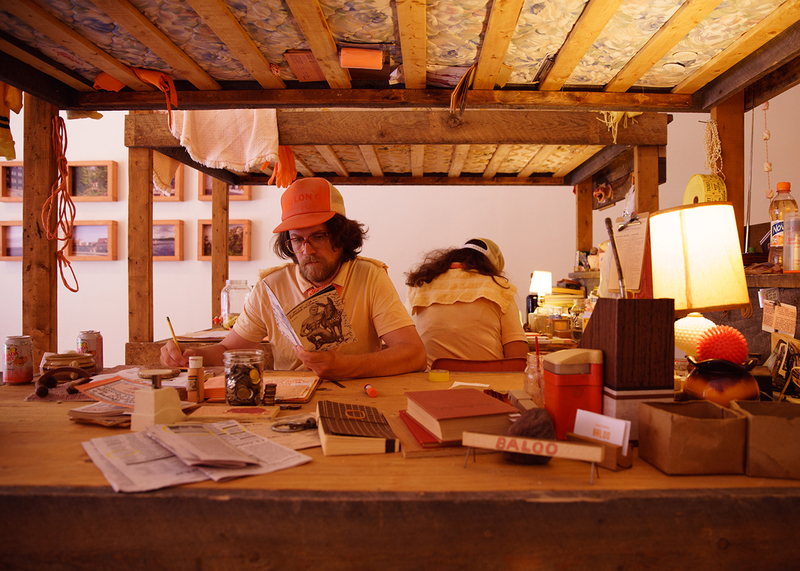 As such “office space” and “work” was repurposed as a place for developing one’s self, one’s creativity and for engaging with others through play. 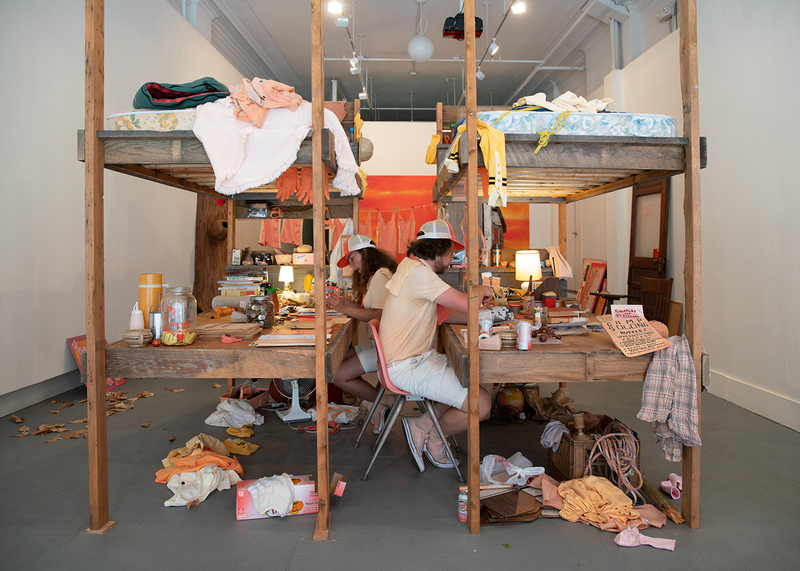 Throughout the exhibition various performative interventions were staged appropriating “actual” summer camp related activities like an open to public FAQ session or performative fundraising events. Camp Solong is a psychic reconfiguration of the American summer camp, a staple of childhood and adolescence, and often rites of passage. Rather than traditional outdoor pursuits though, this camp’s activities, which include Emotional Trashbinning and Solo Time-Travelling, are more interior in nature. 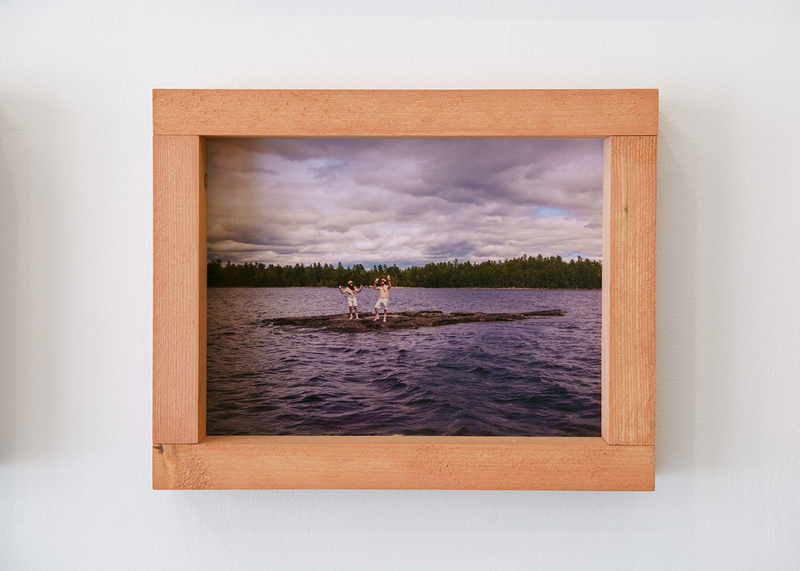 Dafna Maimon & Ethan Hayes-Chute, who co-created the retreat and perform the dual roles of camp counselors, return to the transitory coming-of-age story symbolized by the summer camp – a period in and of itself formative. 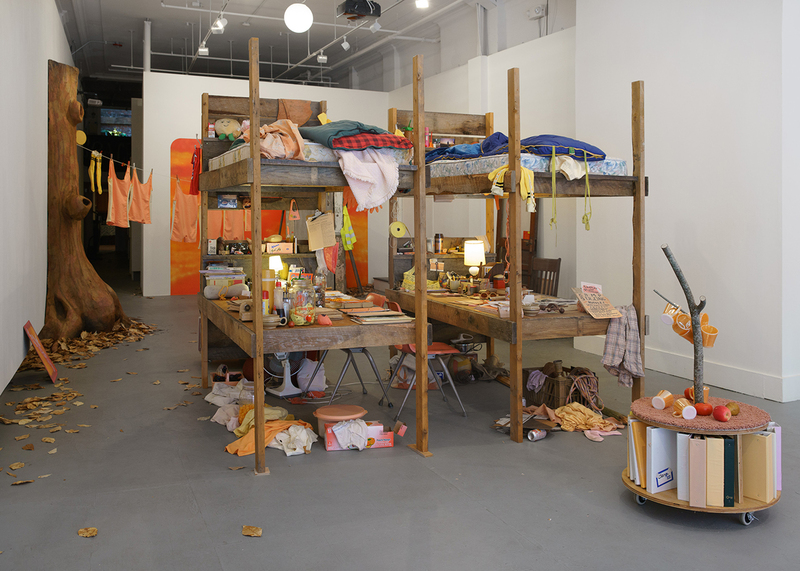 Yet if ‘laser-sharp microscopic introspection’ is – as its literature describes it – Camp Solong’s specialism, then might Fluffy and Baloo, the artist’s alter-egos, also be reconciling their own hangups with the outside world? If so, they momentarily relive an unadulterated point in time in order to release the build-up of emotional labor that is later accrued in the everyday. By prolonging the act of ‘goodbye’, the camp’s pervading theme, their characters re-stage it as catharsis for the camp participants. 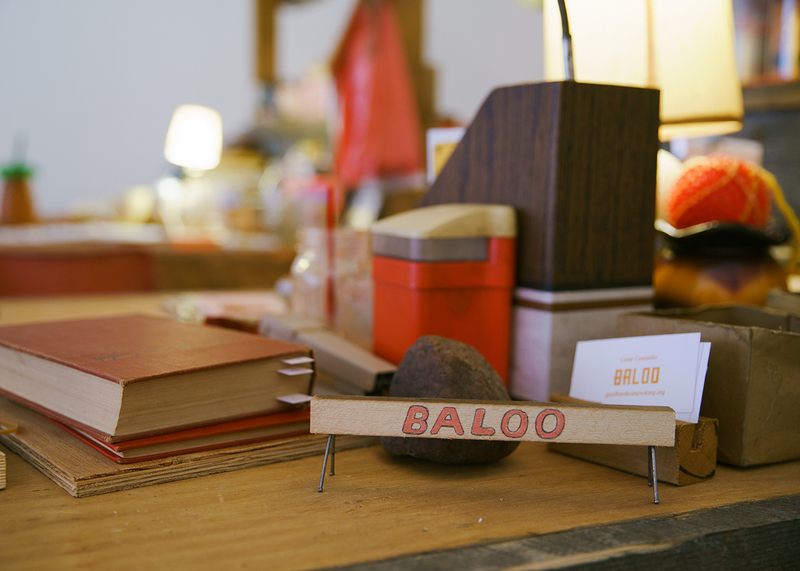 This is to say: as a fictional art project, Camp Solong absorbs the artist’s own regression from adult life into its aesthetic projection as their characters Fluffy and Baloo in and outside of the camp’s fugitivity. Repetition, in this respect, is also enacted through semi-improvised performance outside of the camp’s duration. 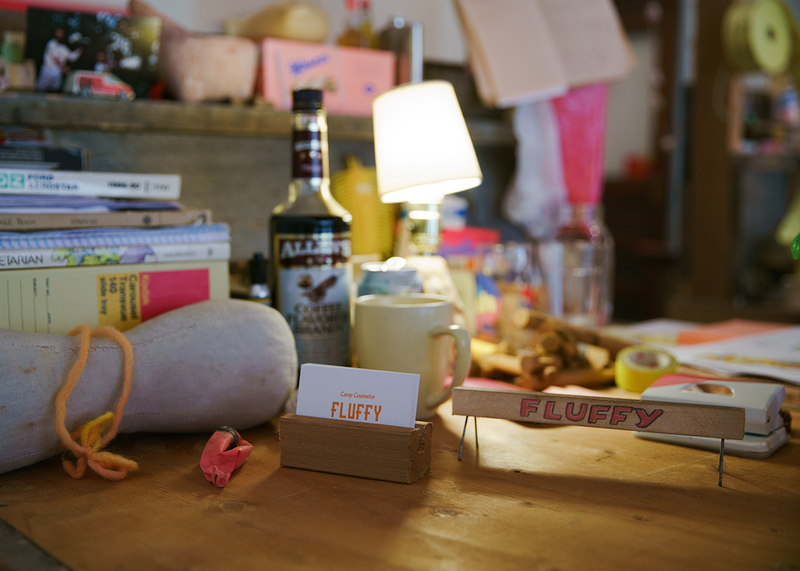 In the photo series Fluffy and Baloo Looking for Campers (2018), Maimon and Hayes-Chute appear within different European locations, such as Madrid, Reykjavik, and Lisbon. Outfitted in their camp uniforms, a retro-palette of peach and pinks, they can be seen pamphleting by the side of a road in a snow-covered landscape or front of the derelict modernism of a Latvian housing estate. These photographs are in fact a staged live act in which the artists again embody the roles of Fluffy and Baloo; repeating phrases, and, often comically, constructing new lines of dialogue by riffing off one another whilst being recorded. The longer they take to capture, the more absurd their characterizations become. 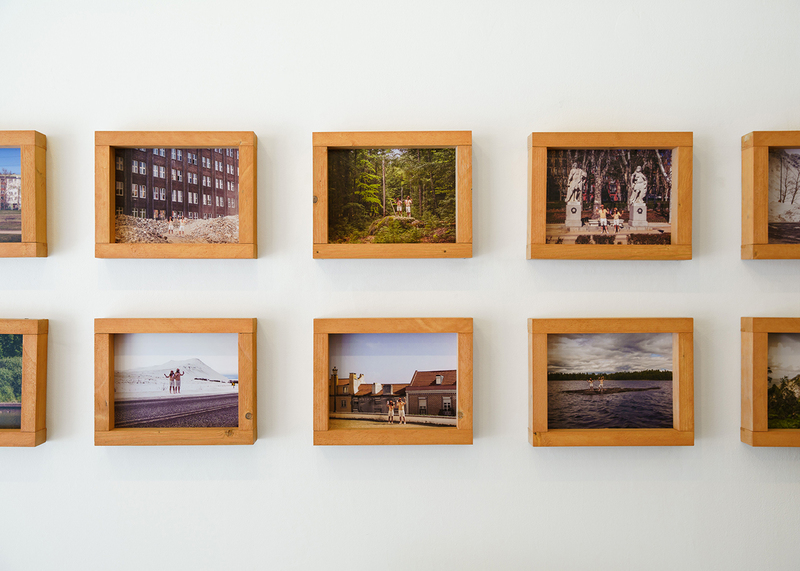 However, it is the apparent remoteness in each of these images that reinforces their character’s desperation more than a simple contrast of photographic subject matter. They are looking for recruits in the most unlikely of places, seemingly out of step in time and at odds with surroundings devoid of other people. 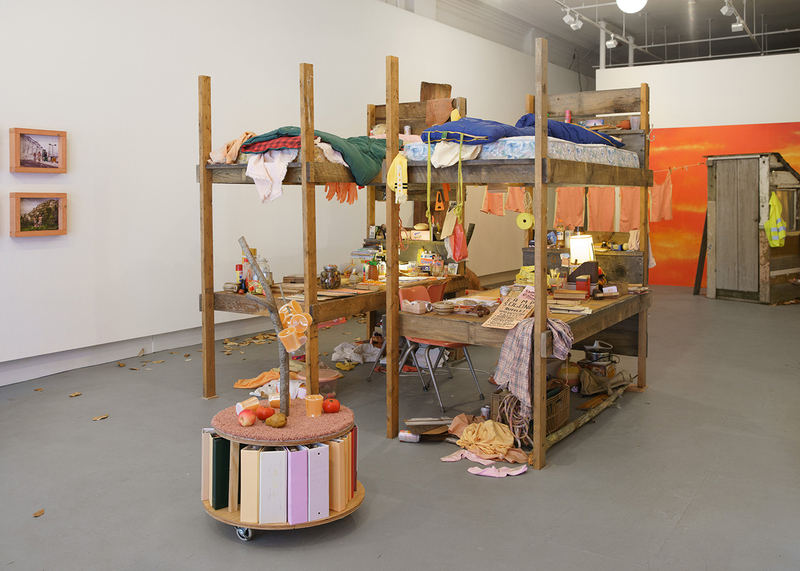 If ‘Camp Solong: Almost Season’, as a static exhibition, is a further extension of the characterization developed through the camp itself, then the counselor’s Bunk-Bureau (2018) offers a tangible glimpse into their fictionalization through makeshift installation. 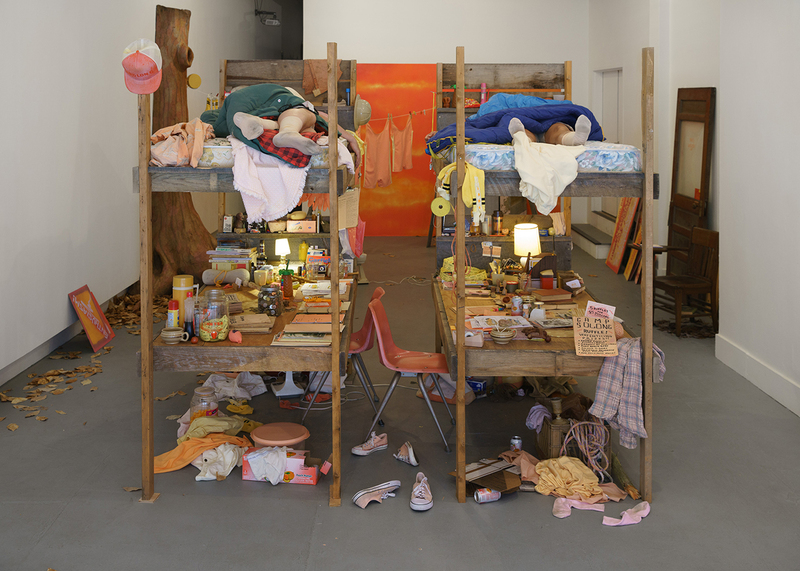 This piece – a bunk-bed-and-desk hybrid sculpture that Maimon and Hayes-Chute will use, in character, during the show – is dressed with details attributed to the counselor’s personas; amongst props and paraphernalia such as printed manifestos, brochures, and campaigning ephemera. During gallery hours, the counselors will be sat at their respective bunk-bureaus, filing, researching, crafting, emotionally processing, and writing their goodbye journals. 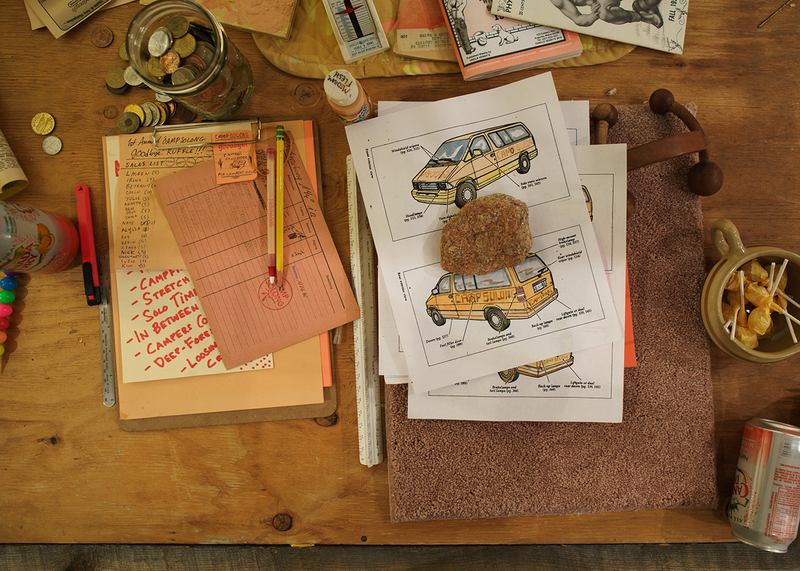 One can sense that Fluffy and Baloo are perhaps astray in the wilderness of reality and bureaucracy commonplace outside of the sanctuary of Camp Solong. In this respect, the works in the exhibition are proxies for an embodied ideal that fulfills its true potential in the camp itself. At least in this environment, where they able to fully exist, they find their catharsis in a series of neverending goodbyes.